Mersal is the latest Tamil film that is doing well at the box office. The audio album of the film did not do well as per the expectations. But the magic in the movie is certainly Rahaman's background music. AR Rahman, the film's music director impressed with the BGM and every review mentioned the same. There is a talk in the film industry is that Rahman is not concentrating on the Indian films and is focusing more on Hollywood films. Even he composes songs for a film, he would team up his students and score background music. 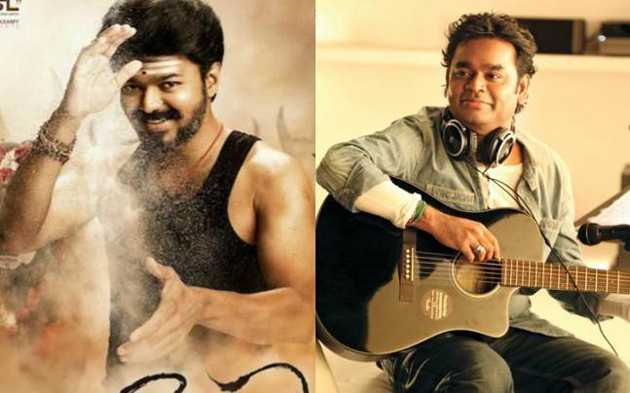 After a long time, Rahman's touch and magic in scoring BGM have been witnessed in the film Mersal. The last time that happened is with Ok Bangaram. It is sure that his BGM has elevated the film to certain extent and those who have seen the film admits the same. The BGM especially in the opening scene and during the interval came out well and Rahman's work must be appreciable. Sumanth or Nara Rohit for Venkatesh!